This past summer, work took me back to Munich for a week, and my wife was able to tag along. 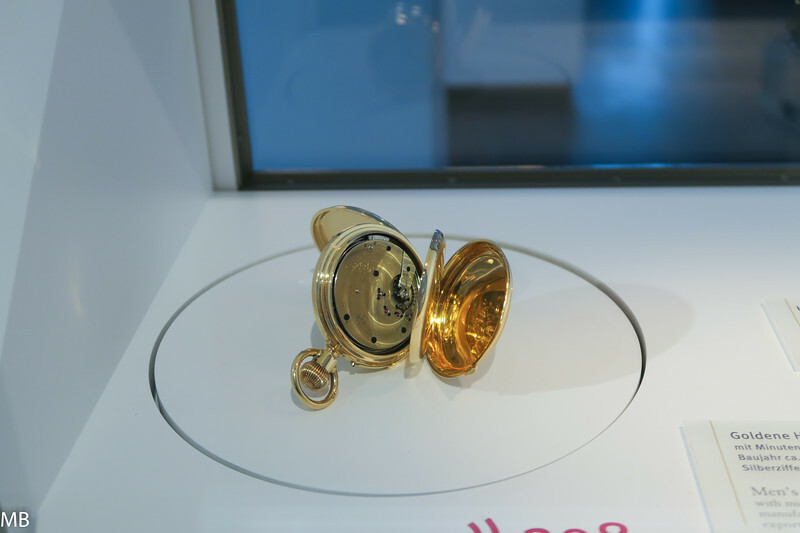 Along with the time in Munich, and a couple of days in the German Alps, we visited Dresden and Glashütte, and this time I was able to visit the German Watch Museum. I've meant to post this for months (literally), but travel and family issues delayed the post. Hopefully you can forgive this late discussion of a fascinating visit. 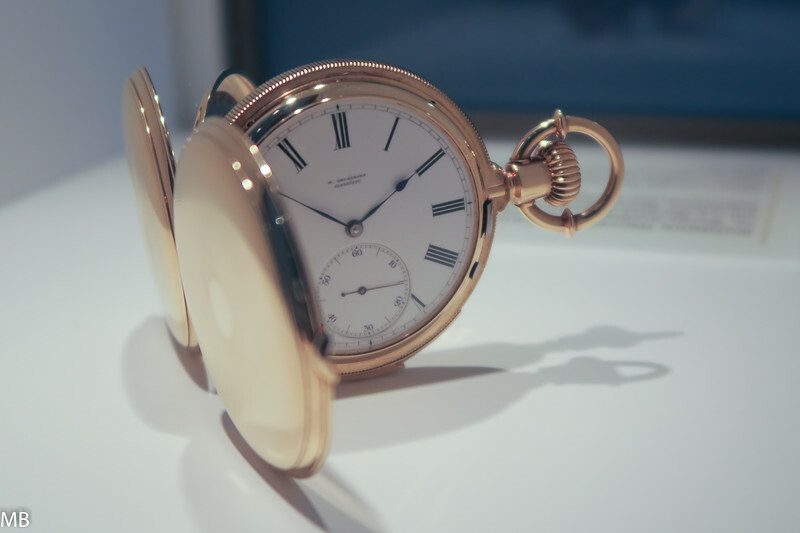 Four names are most strongly associated with Glashütte, Ferdinand Adolph Lange, Julius Assman, Carl Moritz Grossmann, and Adolf Schneider. 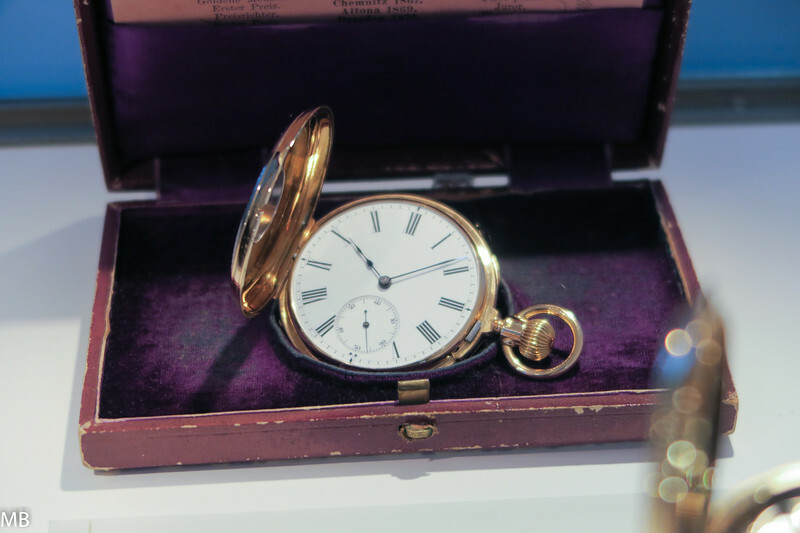 Together the four established Glashütte as the center of German watchmaking, and their stories are inextricably linked in the museum. in the museum's entrance hall. 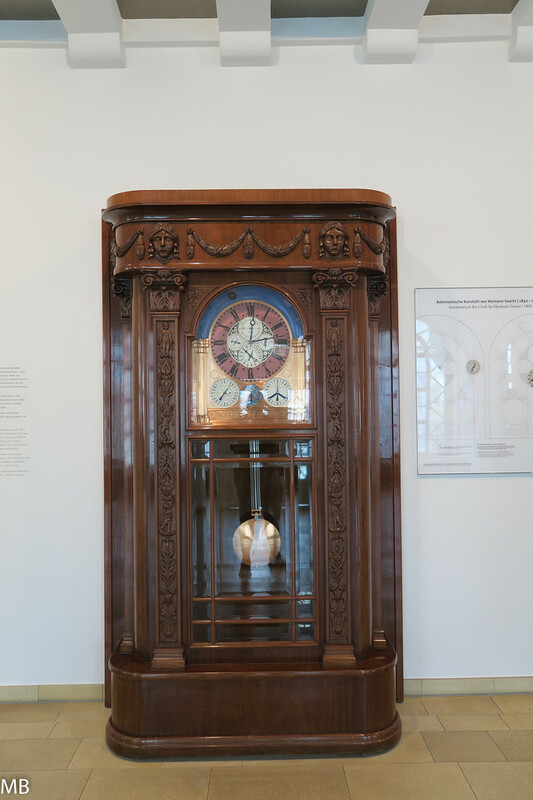 This is a complicated astronomic clock by Hermann Goertz (1862-1944). 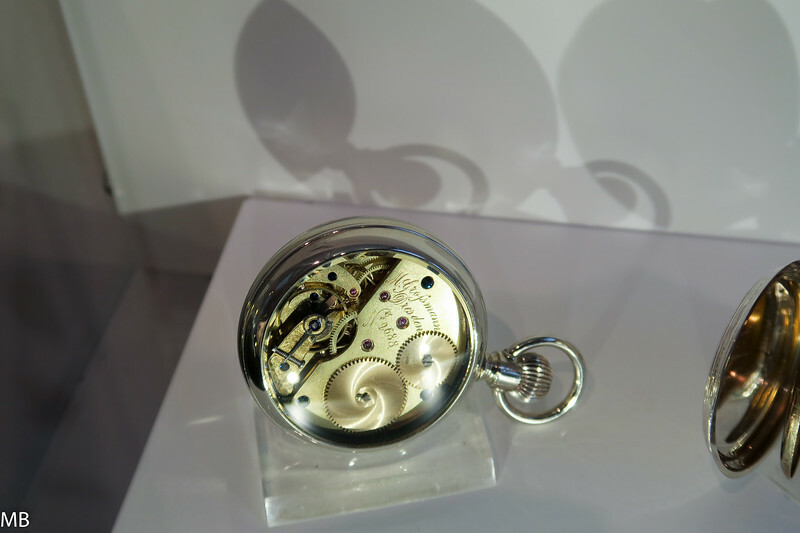 Goertz worked on his masterpiece for more than 30 years before completing it in Glashütte in 1925. 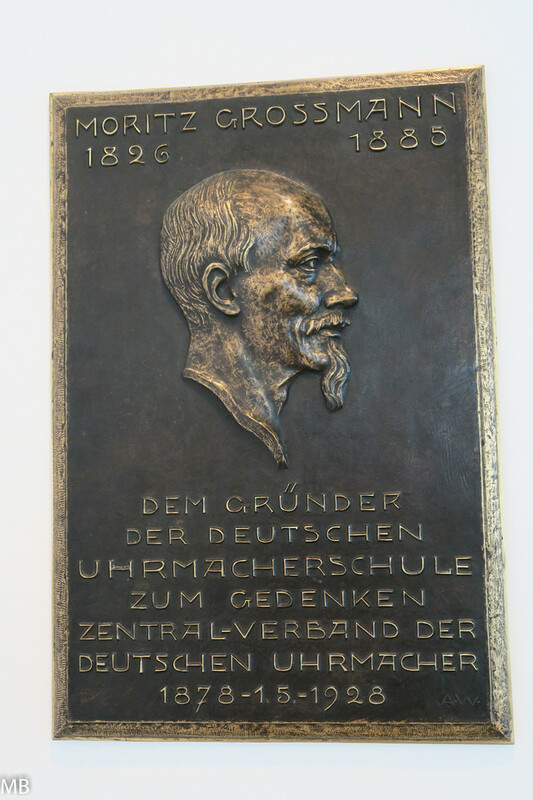 This plaque recognizes the role of Grossmann in Glashütte, a role I'll touch upon again later. 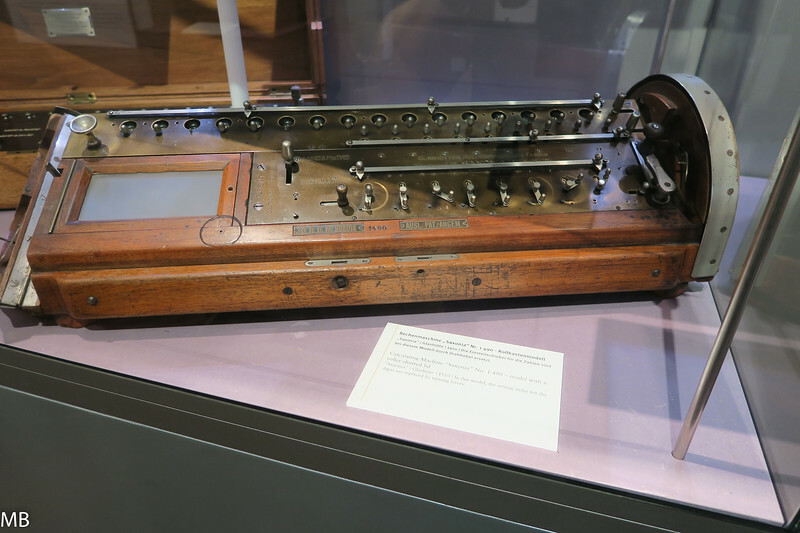 One treat on this visit was a temporary exhibited called "Calculated!" 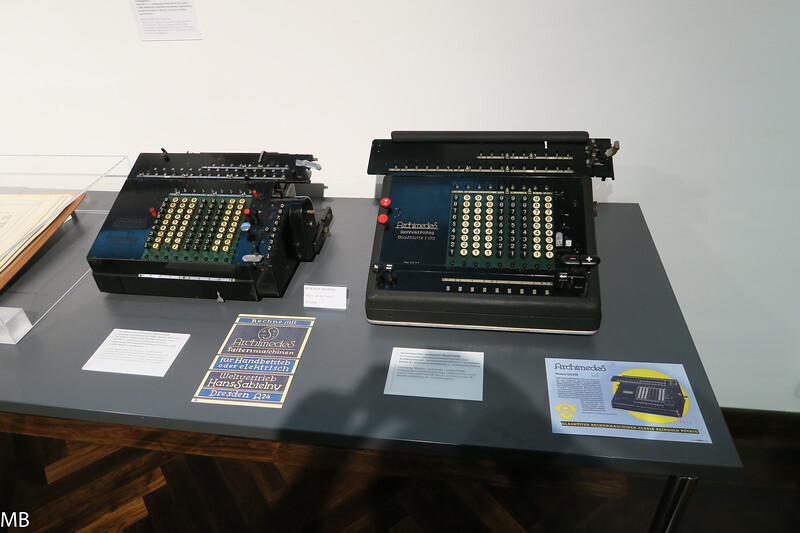 on the history of mechanical calculating machines in Glashütte. 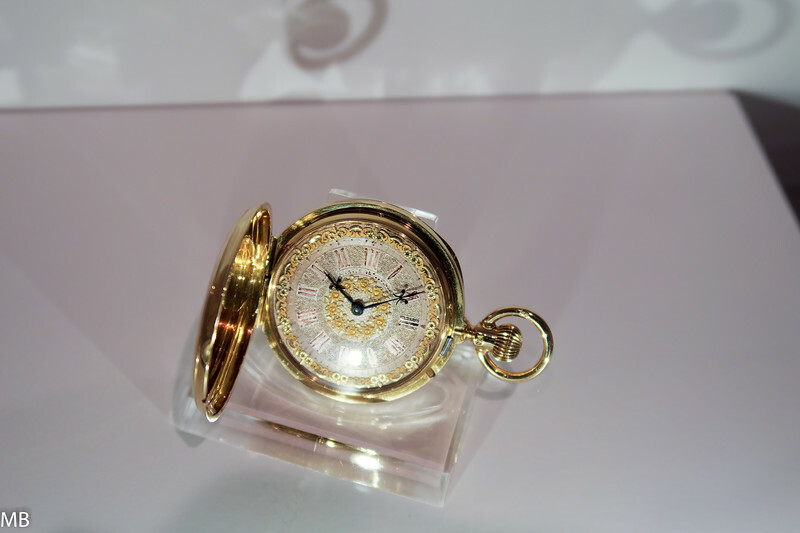 A lady's pocket watch by Moritz Grossmann. 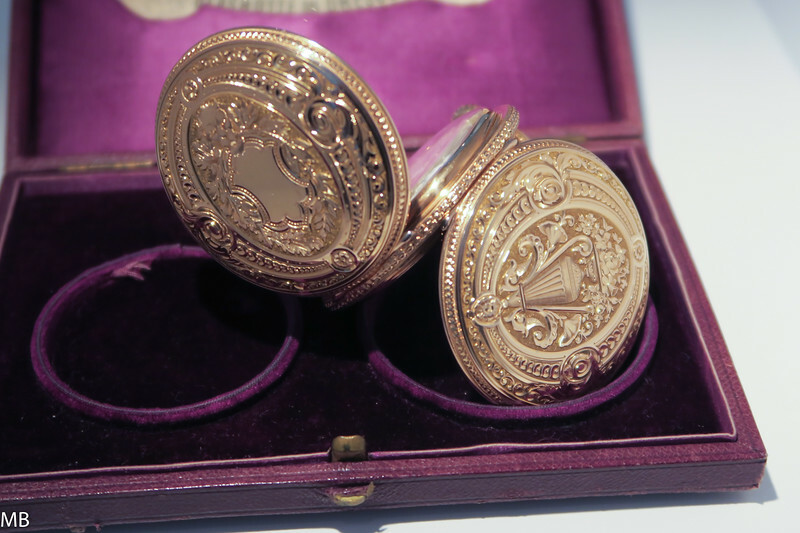 In fact, the personal watch of his second wife! 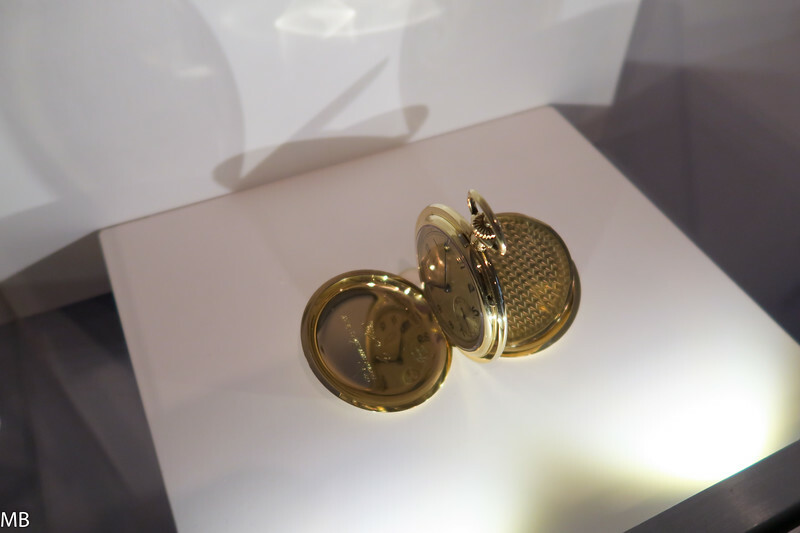 A Grossmann pocket watch. 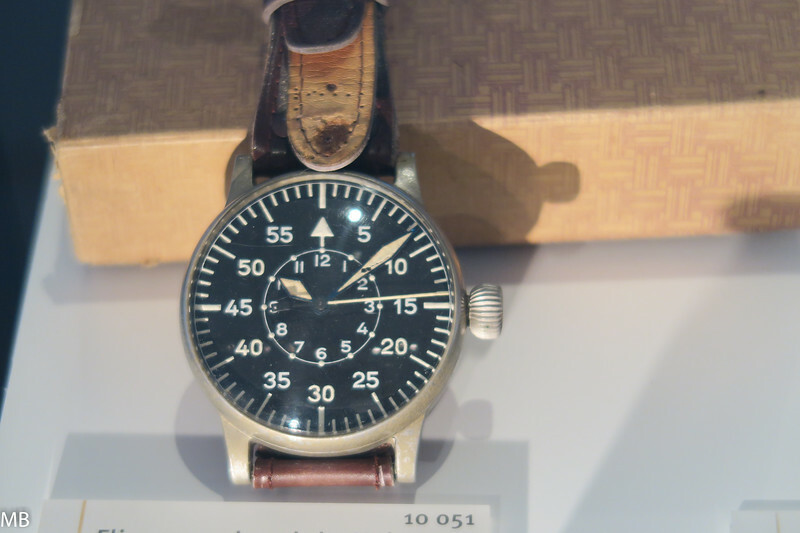 Note the Grossmann fine adjustment mechanism. 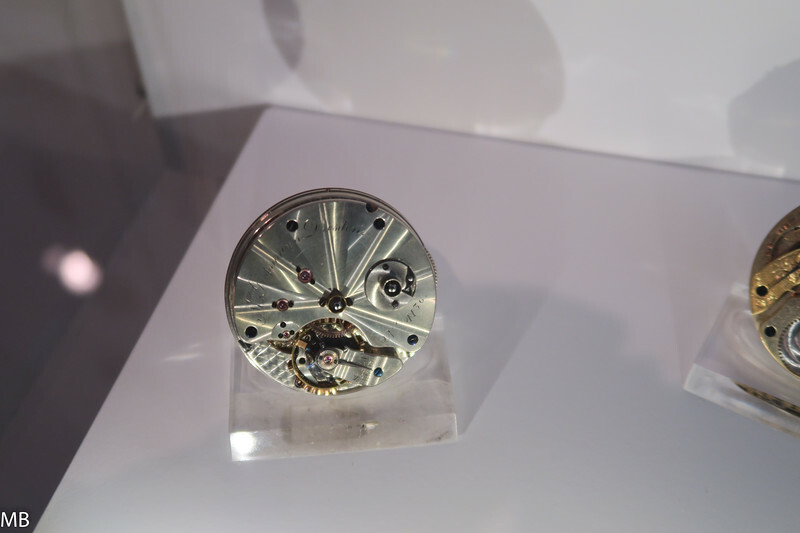 And another Grossmann pocket watch movement. 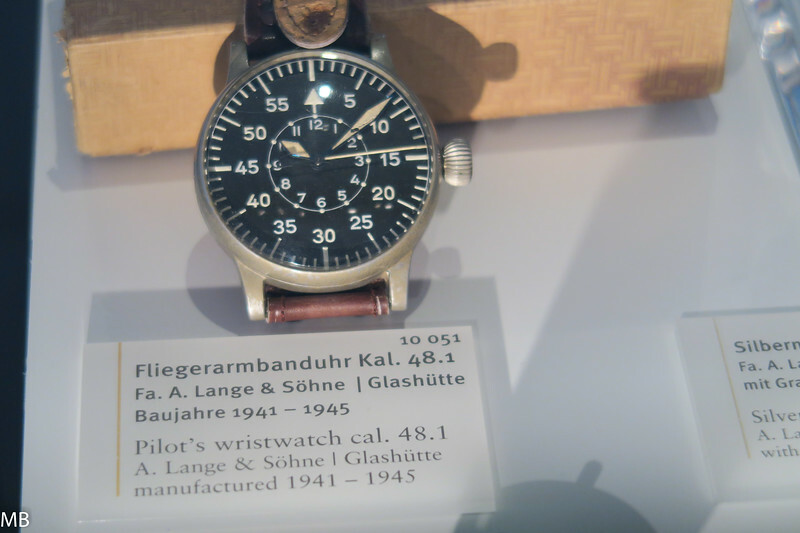 The museum continues the story of Glashütte into the 20th Century, and its role in the production of watches during the war years. 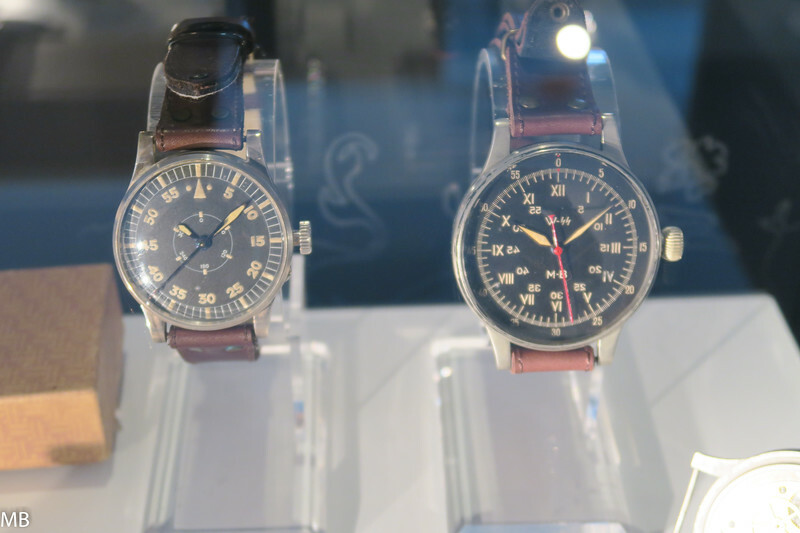 Much has been written about the time after the war, and consolidation of watchmaking in Glashütte into a consortium during the Soviet years. 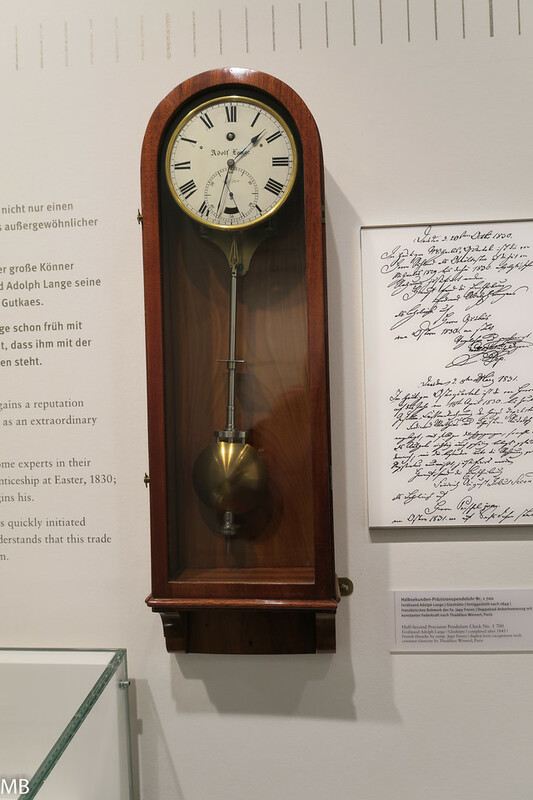 The museum includes a fascinating discussion of a handful of specialists who recreated, largely from memory, the tools for watchmaking in the town. 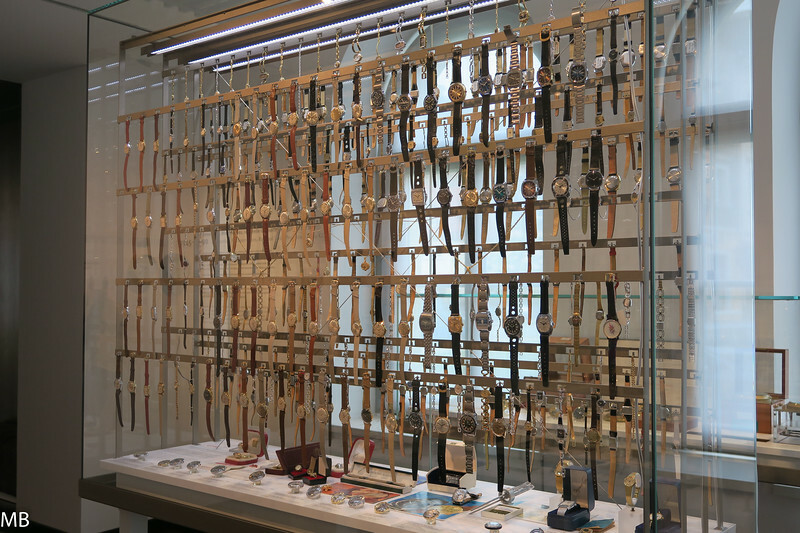 This wall displays the unfortunately largely forgettable watches produced in those years. There's much more to see. I know I'm not the first, nor the last, TimeZoner to visit and to post their memories. I will say that a trip to Saxony is well worth it. 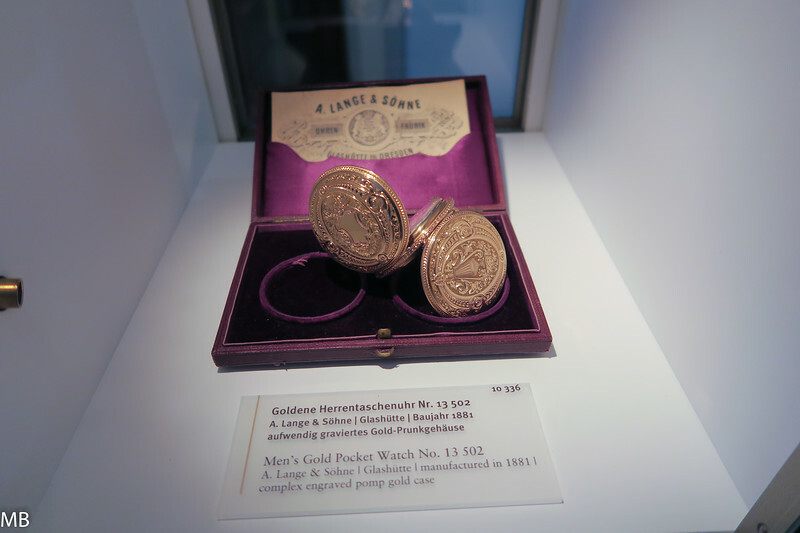 Dresden is a beautiful city, and the village of Glashütte is well worth a visit. 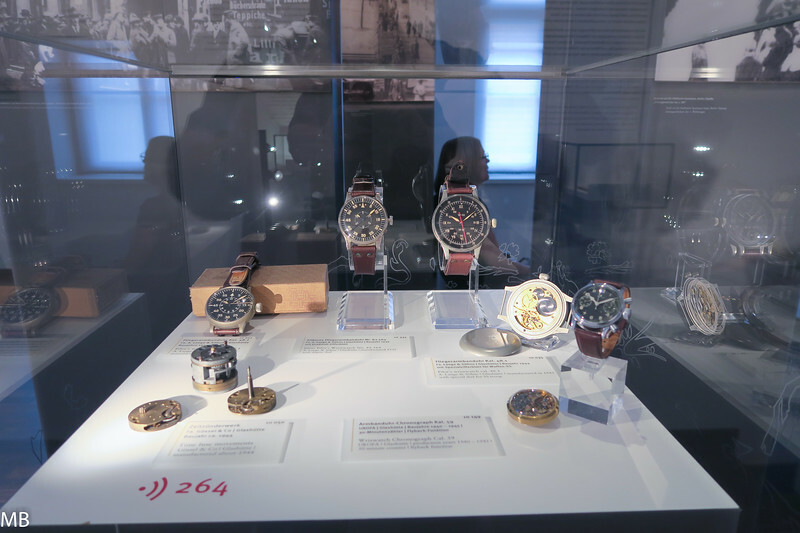 The museum is amazing, and within probably a kilometer of this location are the manufactures of Lange, Grossmann, Wempe, Nomos, Glashütte Original, Tutima, and others. 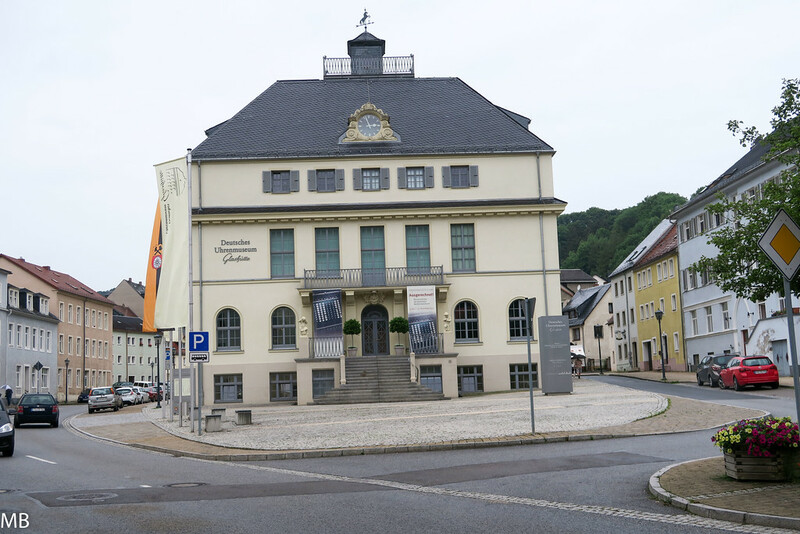 The building also continues the tradition first established by Grossmann, who founded the original school for watchmakers, and houses Glashütte Original's "Alfred Helwig" watchmaking school. The area, and the building, are well worth the visit.